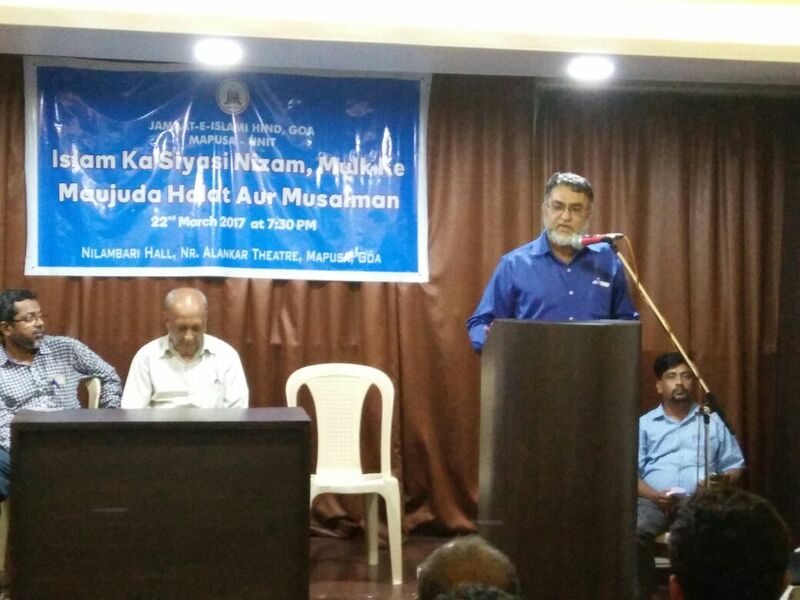 A public programme was organized by Jamaat- e – islami, Hind, Mapusa unit, on the topic “ Maujuda Halaath ,Aur Musalmaan” at Nilambari hall Mapusa. 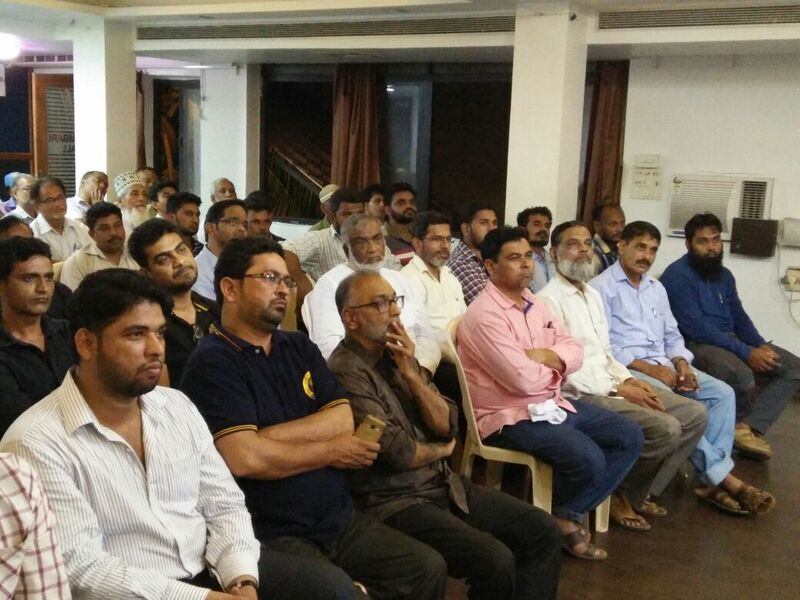 The programme began with Tazkeer bil Quran, on the topic “Amanat Ahle amanat ke havale karo” by Janab Jamal Akhtar. In his discourse he elaborated the religious obligation entrusted on the Ummah of enjoining good and forbidding evil in the light of Qur’an and Sunnah. Janab Samiullah Belwadi, ( Ameer- e -Maqami) in his welcome address highlighted the present political scenario in the country and emphasized on the role the Millat needs to play to change the overall situation . 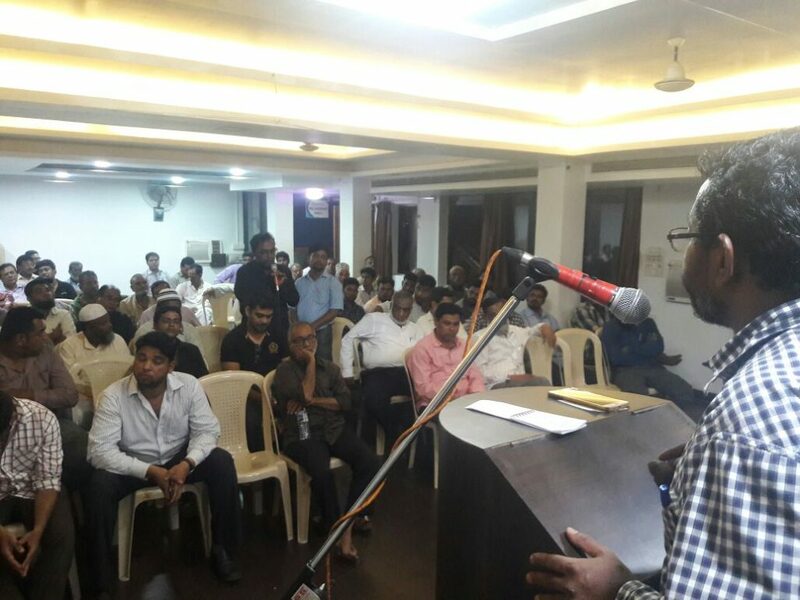 Janab Abdul Waheed khan (Ameer e Halka) Goa Unit, in his speech said that we need to understand the difference between BJP and the other political parties especially with regards to its ideology and find the reason why we see a continuous and orchestrated atmosphere of hatred unleashed towards Muslims. 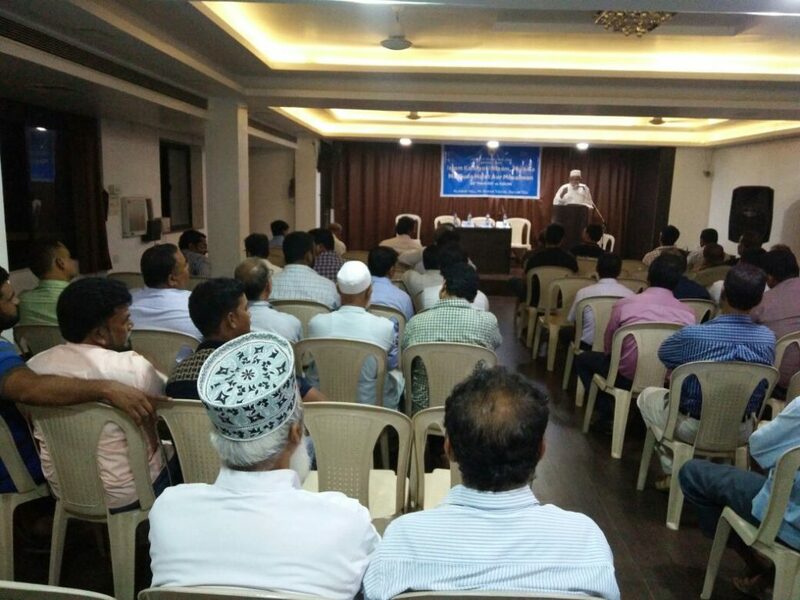 Later, in the open house discussion lot of suggestions came from the audience on the issues which were put across by Janab Asif Hussain Secretary Halqa, Goa unit, who moderated the open house. 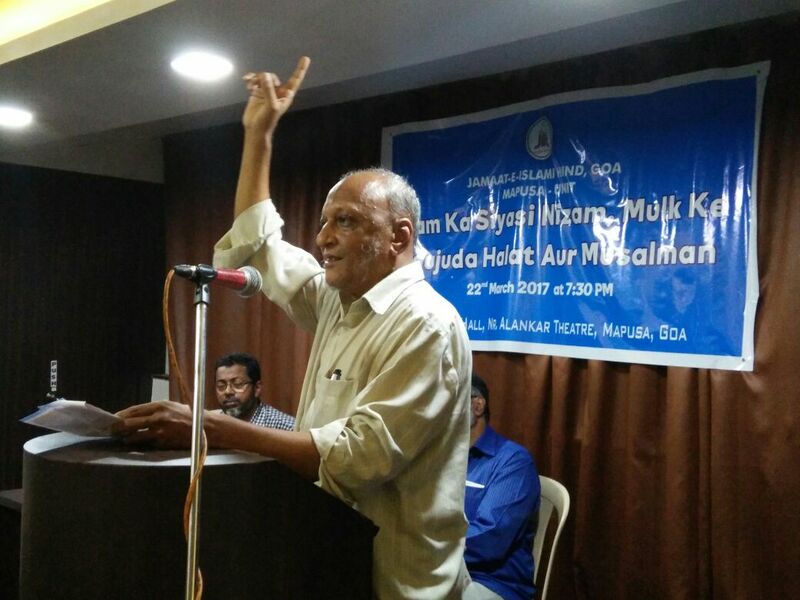 In his concluding Address, Janab Abdul Waheed khan said that majority of the people from the Hindu community are peace loving and understanding by nature. Only a few are trying to polarize the society in the name of religion. He said that the present scenario prevailing in the country will be tough for both the Muslims as well as the Non Muslim brothers who are also worried as to in which direction the nation is moving. He said that there is no need for the people to be dejected. He said such situations had befallen on Ummat before also, and in most of the time they came victorious by reposing their faith in Almighty Allah. He suggested that we need to have a vision if we want to come out from this grim situation. He said firstly, we need to work sincerely to strengthen our ties with our neighbours, in particular and the people in general, irrespective of religion. And secondly we need to stand on our own feet and solve all our problems unitedly as we cannot expect any political party or group to address our issues. The programme concluded with dua. Janab Riaz Jamkhani was the convenor.